What one understands about Bitcoin is that it is a cryptocurrency and world’s first digital system through which transaction takes place. This was one of the first and decentralized networks that came into existence in the year 2009. In this system, there is a direct link between the giver and the receiver. There lays no intermediate to hold onto the transaction or create any problems. Therefore the transaction simple and easy. Over the years people have trusted this network and so therefore now there are huge groups of a businessman, big to small companies use Bitcoin as the source of payment. 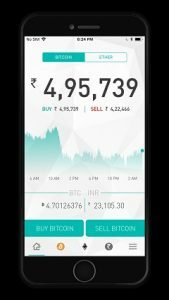 There are few exchanges in India where users can buy, sell and trade cryptocurrencies in India. Note: Due to the RBI circular, crypto exchanges are not able to let traders liquidate crypto assets. That means banks accounts can not be used for buying crypto anymore and similarly you can not sell crypto and receive Rupee in your bank account through exchange. To deal with it few exchanges has launched Peer to Peer Exchange (P2P) where users can buy and sell crypto directly to each other. Till the further order from authorities users will only be able to trade between multiple crypto assets. Koinex is India’s first and best crypto assets exchange supporting multiple tokens and coins on a single platform. 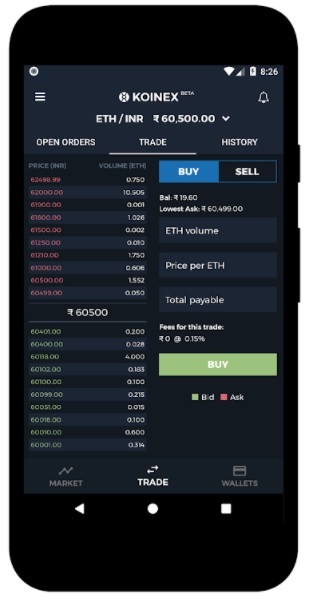 Like an advanced exchange it offers open order book, peer-ta o-peer model, it is the popular and secure platform for the crypto assets in India. Koinex is designed for cutting-edge technology and provide a secure environment to its users. Currently available a list crypto assets including Bitcoin (BTC), Ethereum (ETH), Ripple (XRP), and Bitcoin Cash (BCH). 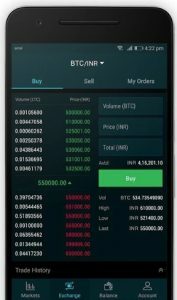 WazirX is a newly launched cryptocurrency exchange to easily and securely Trade digital assets like Bitcoin, Ethereum, Ripple etc in India. It is available as a web application as well as mobile apps for android and iOS. 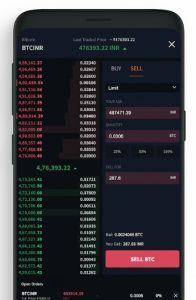 It offers a simple and powerful interface with real-time open order books, trade history, deposit & withdrawals and charting so you can trade in some of the world’s best digital assets. CoinDCX launched crypto-to-crypto exchange as well a p2p exchange, where crypto users will have the freedom to legally buy, sell and trade crypto in 100-plus available pairs in BTC/ETH. CoinDCX p2p exchange is also known as DCXInsta. Trading fee at this platform is 0.20% only. CoinDCX offers web application as well as mobile apps to access this platform. Started in 2017, Coinome is also reputed crypto exchange backed by Billdesk. Is supports multiple cryptocurrencies and based on the Taker-Maker exchange model. It is the first crypto exchange in India which offered eKYC through Aadhar linked process. It offers both web and mobile application where users can buy, sell and trade their crypto assets. CoinDelta is another Indian Cryptocurrency Trading Exchange started in 2017. Coindetla is a web and mobile app based exchange which supports a list of altcoins including BTC and ETH. This app is available for Android and iOS versions. This is the most popular app for buying Bitcoin and few supported altcoins as well. 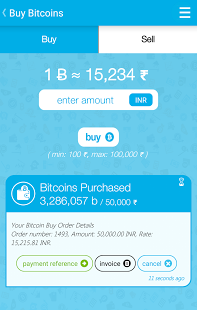 It is believed to be the fastest and the easiest way to buy, sell and trade cryptocurrencies in India. This app believes in the security of people so, therefore, is necessary then they may not allow the customers to deposit or to withdraw any bitcoin. This will be applicable in global exchange for a very short span of time. These are done to avoid technical problems and as the problem gets over they allow in a normal transaction. Easy top-up service. Just like an individual top up their prepaid connection. Similarly, Zebpay allows the customer to recharge for themselves and their close ones. 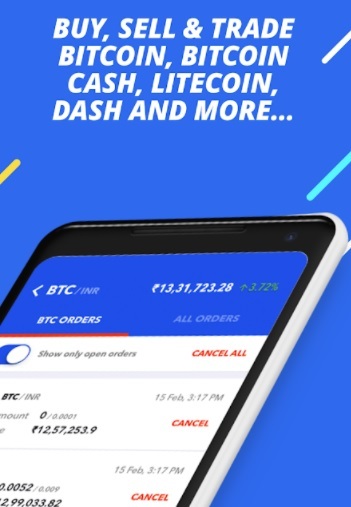 As we have mentioned above this is a most popular app because it is the fastest and the easiest means of transaction. This is one of the best and high rated apps among the rest. This app gives us something that we all look for i.e. Security. It is proved to be 100% secure. Use the code REF32792234 while Sign up on Zebpay App or In the Options–>Rewards–> Promo code, in the app. This is another popular app for buy, sell and trade Bitcoin and Ether. This app believes in keeping personal information of their customers while opening an account. They not only collect information but also secure them from technical risk. They made their aims to reach the top global field and make the most of it. They want to be a part of Indian as well as the Global economy. It is available in both app and website version.